The Setra Cleanroom Package will ensure critical spaces maintain optimal performance and comply with regulatory requirements. All of our sensors integrate seamlessly with the FLEX™ Environmental Monitor to provide immediate local feedback and alarming, and can be viewed at a centralized location via the network for trending and compliance. 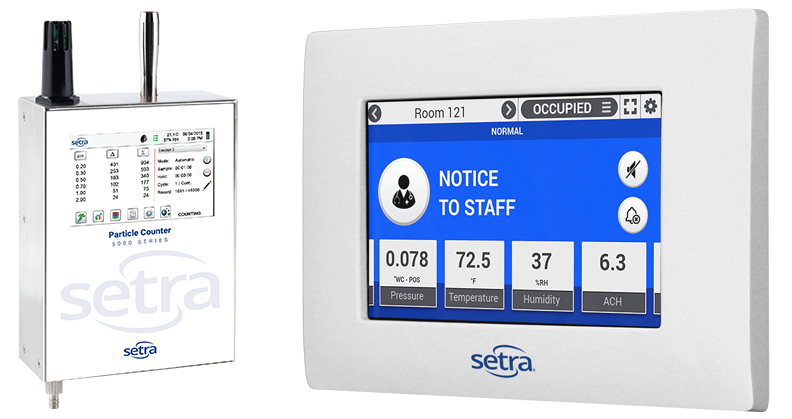 Setra’s remote particle counters let the end user know how their space is performing and communicates that information to the FLEX™ Environmental Monitor or to the network. Know whats happening at the point of concern to ensure environmental conditions. 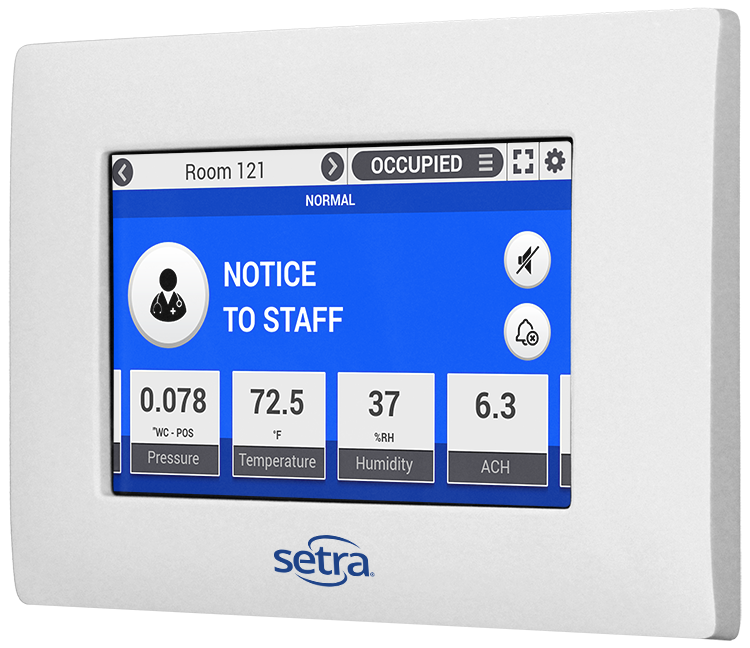 The Setra Pressure indicator alerts users of any changes to the condition of the cleanroom. If the pressure goes outside of the required range a visual alarm will be present at both the sensor as well as the FLEX™ Environmental Monitor. 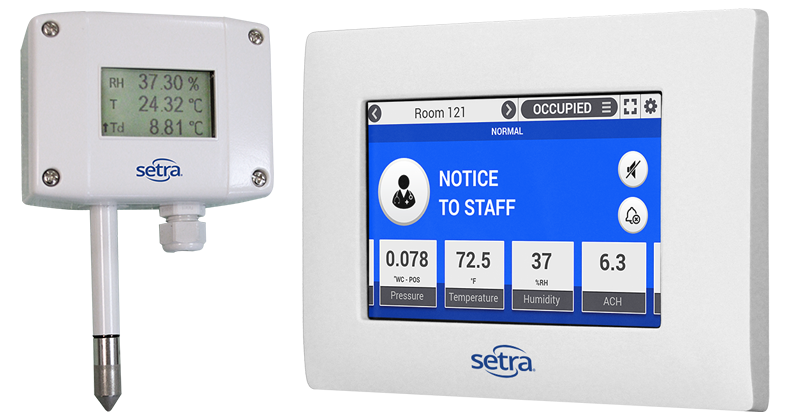 When its critical to maintain proper temperature and humidity levels in a cleanroom, Setra’s high accuracy sensors create a worry free environment. Temperature and humidity readings are visible either at the unit or via the FLEX™ Environmental Monitor. 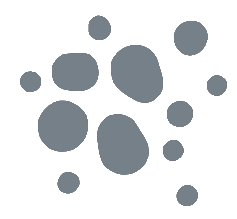 Setra Systems offers a variety of advanced sensing solutions. Our products are designed to stand alone, but they are better when they are connected. Setra FLEX™ is the world's most advanced environmental monitoring solution. You can tie multiple sensors into FLEX™ to monitor multiple parameters all in one place. Learn how a connected environmental monitoring system can save you time and money, while increasing safety and compliance.